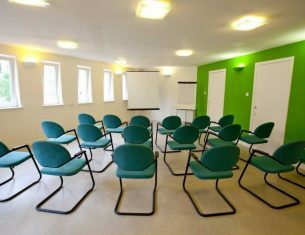 Book the meeting room, for a meeting or teaching a class, and you’ll be off to a good start. It’s a bright, airy, first floor room, with lift access in the heart of Stockbridge. What’s more, everything we receive helps to support Edinburgh’s older community. Now there’s a lovely talking point. Accommodates up to 25 people. Flip chart, projector and screen available.